For bodybuilding enthusiasts yoga might appear to be very delicate and not so impressive mode of muscle building. I don’t blame you for this perspective. We all are fed with all kinds of wrong notions by so called muscle building experts that rigorous strength training and weight lifting can only result into greater muscles. 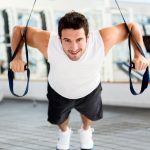 It is correct that strength and weight training are must for muscle building but they are not the only one. 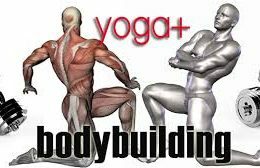 Interestingly mixing yoga and bodybuilding can be complete workout for you. Bodybuilding is just about your muscles and physical body. Mixing it will yoga will have a confluence on mind which will make you stronger mentally and psychologically. Most of you might be looking for the reasons why one should mix yoga and bodybuilding. Here we are going to provide you enough reasons. Muscles in body work by mode of contraction and expansion. Workouts majorly concentrate on the counteraction of this expansion and contraction. Practicing yoga makes this approach clockwork precise. Means you will not injure yourself with wrong postures anymore. When we are on a bodybuilding regime there are some internal organs which can easily fall apart. Yoga has best impact on the internal organs and aligns them with the bodybuilding. Many bodybuilders complain that their body joints and muscles have anomalies after some time of bodybuilding. Yoga postures help you to correct and avoid these anomalies. Every yoga posture addresses specific problem pertaining to your specific joints and muscles. 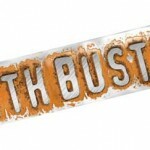 Best results from bodybuilding are when body is getting enough supply of oxygen. Blood carries the oxygen from air to the tissues which facilitate their expansion and contraction. Yoga has distinct and elaborative exercises to improve and enhance the oxygen flow in the body. This in turn gives better bodybuilding results. Injuries are very common for bodybuilders. Many bodybuilders end up doing exercises cure these injuries. 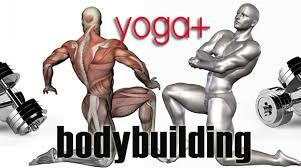 Mixing yoga with bodybuilding takes care of the common injuries as yogic exercises can easily heal the injured parts. Most injuries during workout are caused because of stiff tendons and ligaments. Yoga brings in suppleness to ligaments and tendons avoiding most of the injuries. Blood flow is very much enhanced with yoga postures. There are a number of yoga postures which are specifically developed for making flow of blood even in the body. This helps in the overall development of the body muscles. You can start and end your bodybuilding session with yoga. It is common for blood pressure to become uneven after the workout. Yoga brings it back to normal and helps your body to easily recover from the stress of the bodybuilding exercises. 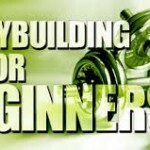 Now I am sure you have an idea of why it is beneficial to mix yoga and bodybuilding together for best results. Prevention of injuries is the major reason why you should include yoga in your bodybuilding programs. Relief of stress and enhancement of mental health are other reasons for mixing yoga and bodybuilding. 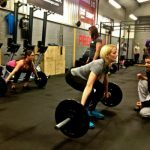 Yoga & Bodybuilding- Do They Go Hand in Hand?